Manojna is currently working in the area of SDN(OpenDaylight, OpenFlow), DNA(Distributed Network Analytics, Plexxi Affinity) and Cisco Cloud Web Security (CWS). 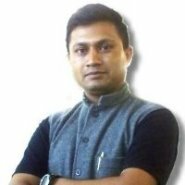 With MTech (Networking) and a BE(Computer Science), he has about 10yrs of experience in Software design, development, training, leading teams and working directly with Product management/marketing and Customers. Also, pursuing (Master of Business Laws) at the National Law School of India, Bengaluru. Before joining CISCO as a Senior Software Development Engineer in April of 2007, he had worked with Novell for three years in the same disciple. He has also been part of many projects like 1)Open Daylight Controller. 2) Cisco cloud Web Society. 3) NBAR Protocol Pack Program. 4) NBAR India PDL Development. 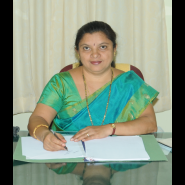 Dr. G. L. Eshwara Prasad hails from Mandya. 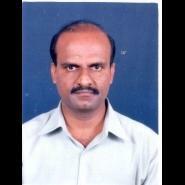 He secured a BE Degree in Civil Engineering from PES Mandya with a First Class Distinction. After securing his BE Degree he went on to complete his ME in Structural Engineering and PhD in Plasticity & Impact Mechanics. He has also visited many Universities abroad, which includes - National University of Singapore, University of Cambridge - UK, George Mason University - Washington DC. PES College of Engineering, Presented Our Department profile to NBA Committee of AICTE when it visited our college in April 2004 during which our department was accredited for five years, Served as Member Board of Studies, Visvesvaraya Technological University, Belgaum, Chairman Board of Examiners Civil Engg. Board University of Mysore, Visited Engineering colleges as member of VTU, Local Inspection Committee. 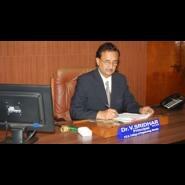 Dr. V Sridhar is the esteemed principal of P.E.S.C.E as well as an alumnus. After his graduation from P.E.S.C.E., he went on to do his ME and PhD as well. He has been the principal at P.E.S.C.E. from 2008 onwards, prior to which he was the Registrar at Visvesvaraya Technological University, Belgaum. Dr. Ajith Prasad S.L was born on 5th October, 1960. He graduated in Mechanical Engineering in the year 1983. He has received M.tech(Design) from IIT Madras ,in the year 1989. He has also received Ph.D from , IIT Madras .He is a lifetime member of ISTE and Tribology Society of India, and a fellow member of Institute of Engineers. He has immense teaching experience of about 30 years and research experience of about 14 years . 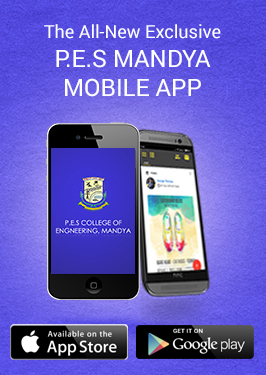 He is presently working as Professor and HOD of Mechanical Engineering, PESCE, Mandya. Dr. M.C. Padma was born on 13 July, 1968. She graduated in Computer Science & Engineering in the year 1990. She has received M.Sc tech from Mysore University ,Mysore in the year 2010. She has also received her Ph.D from Vishweshwarayya Technical University(VTU) , Belgam for her research work on “Pattern Recognition and Image processing”. She is a member of many academic bodies like National Board of Accreditation (NBA), New Delhi Post Graduation Board (Examination), Mysore University, Board of Studies (UG & PG), Autonomous Colleges, VTU, Belgaum. She has attended many National and International Conferences and has given many paper presentations. She has teaching and research experience of about 24 years. Sri. M.S. Zahed was born on 5th Jan, 1949. He graduated in Mechanical Engineering in the year 1969. He has also received MBA from IIM, Bengaluru. 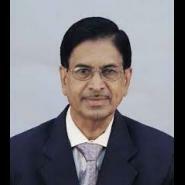 He was the Chairman and Managing Director, HMT Ltd, Bangalore from 2002-2007. 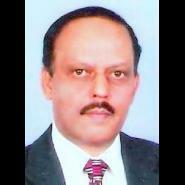 Presently, he is working as Chairman & MD, Zeeman Technologies Pvt. Ltd. He has received several awards, viz., distinguished Alumnus from IIM-B, Rajyothsava award, Best CEO APIIC.